Republican leaders of the Senate Finance Committee have demanded decades of data from the CMS on the agency's efforts to recover improper Medicaid payments—a move that could significantly affect Medicaid managed-care plans in expansion states. 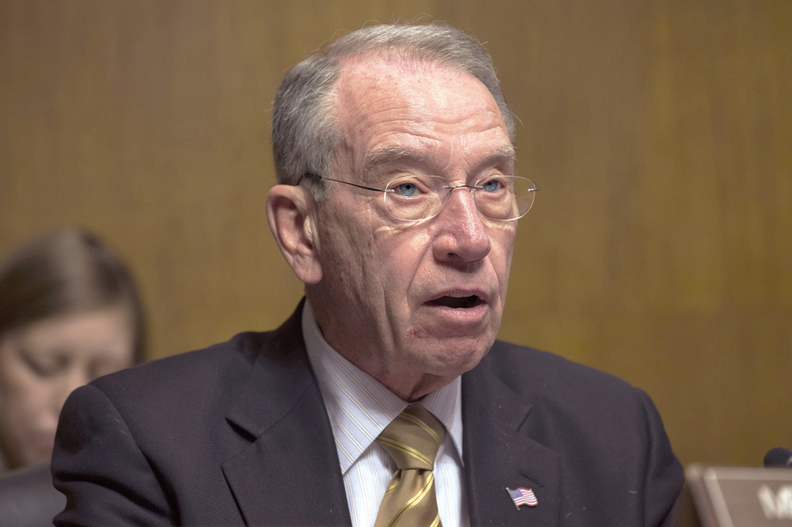 In a March 1 letter to CMS Administrator Seema Verma, Senate Finance Committee Chair Chuck Grassley (R-Iowa) and the panel's health subcommittee chair, Pat Toomey (R-Pa.), also signaled they are willing to push legislation to give the agency more authority to keep improper payments within the federally mandated limit. The senators cited the CMS' own findings that for 2018 the agency's improper payment rate for Medicaid was nearly 10%. "This stunning error rate actually represented an improvement upon the prior year, which itself was an improvement upon 2016," the senators wrote. "For context, Medicaid often makes more erroneous payments than Congress appropriates for the entire budget of the National Institutes of Health." But they focused on Medicaid expansion as an area particularly ripe for oversight. Medicaid expansion states get a much higher rate of federal funds to cover adults who are not disabled who earn up to 138% of the poverty level—who are by and large less expensive to cover than traditional Medicaid enrollees. "[I]f states accidentally enroll an individual as an expansion enrollee instead of a traditional enrollee, states are perversely, and significantly, rewarded for their error, unless the federal government subsequently takes action to recoup those mistakenly paid funds," the senators wrote. They highlighted four different states that expanded Medicaid under the Affordable Care Act. First they pointed to HHS' Office of Inspector General reports which found that around 7% of beneficiaries in Kentucky Medicaid may be ineligible for the program. According to the OIG, these rates are higher in other states—potentially more than 25% of California's Medicaid population may be ineligible, and 30% of New York's. The senators cited a random sampling conducted by Louisiana's Department of Health that found 82% of the beneficiaries audited were ineligible. Their letter follows a Senate Homeland Security and Governmental Affairs Committee hearing late last summer with Verma and the U.S. comptroller general on the same issue. Both Comptroller General Gene Dodaro and Verma urged senators to scrutinize potential improper payments within managed care in Medicaid expansion states, particularly when they cover large swaths of the Medicaid population. "No one is auditing managed care right now," Dodaro said last August. "This could be a game-changer to get (state auditors) involved in a substantive way." Verma also noted in that hearing that some states are moving traditional Medicaid enrollees who qualify as disabled to Medicaid expansion rolls. They can technically do this because state parameters for disability can vary from the federal government's definition. Medicaid oversight is a touchy subject in Congress, where Republicans and Democrats clash over funding for the program. The Trump administration is currently encouraging the implementation of work requirements—a policy embraced even by Virginia, a purple state, as a condition for expansion. Grassley and Toomey emphasized the size of the Medicaid program—slated to cost states and the federal government about $7.8 trillion over the next 10 years—and the high rate of improper payments as reason for an oversight push. "To maintain public confidence in such a large commitment of national resources, it is essential to ensure these dollars are spent as Congress intended—namely, to provide specified health and long-term care services for low-income Americans, with a historical focus on the aged, disabled, children, and families," they wrote.